Playwright Arthur Miller recalled, “An era can be said to end when its basic illusions are exhausted.” Management hopes rest in a positive institutional image. Avoiding negative attention is a natural incentive for cultivating illusions. Still, is honesty always the best public policy? Recent events give us some perspective. Penn State University is renowned for its sports achievements. Joe Paterno’s coaching methods led the football team to 409 wins during his 45 years there. His assistant coach, Jerry Sandusky, was hired in 1969, assuming various roles over a thirty year period. He retired in 1999, soon after one boy’s mother filed a complaint alleging Sandusky had inappropriate contact with her son. The local district attorney declined to pursue the case after a police inquiry. Sandusky had ongoing access to Penn State facilities after retiring though, and campus employees witnessed inappropriate conduct in subsequent years. Reports reached Coach Paterno, the athletic director and Penn State’s president. A decision banned Sandusky from bringing kids to campus. Child protection authorities and law enforcement weren’t notified. Over five years later, a public school district reported new child abuse allegations to law enforcement. Sandusky was identified as the perpetrator. In the subsequent fallout, Penn State President Graham Spanier was fired along with coach Paterno. Spanier was convicted for child endangerment. Sandusky received a 30-60 year prison sentence. Beverly Hall had strong credentials when she took the helm as superintendent of the Atlanta Public Schools (APS) on July 1, 1999. In addition to undergraduate and graduate degrees from Brooklyn College, as well as a doctoral degree in education from Fordham University, she had widespread administrative experience from earlier public service roles. Dr. Hall worked as a teacher, principal and deputy chancellor for instruction for the New York City Board of Education before becoming district superintendent for the public schools in Newark, New Jersey. 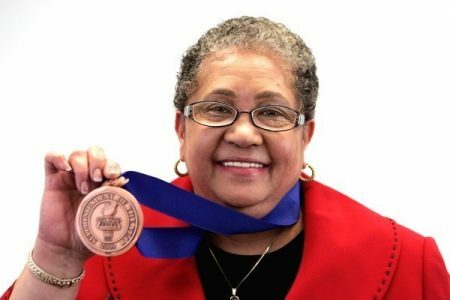 In 2009, a blue ribbon commission of the American Association of School Superintendents recognized Dr. Hall as National Superintendent of the Year for her transformative efforts at APS. That same year, the Atlanta Journal Constitution reports instances of cheating at some APS campuses. Subsequent investigations commenced. The Atlanta Board of Education appointed an independent commission to review the allegations. The district attorney’s office opened its own inquiry. Governor Sonny Perdue directed the Georgia Bureau of Investigation to pursue the evidence trail. In the end, at least 178 educators participated in cheating practices which included changing student answers to increase test scores. Of those, 38 individuals were school principals. One investigator reported Dr. Hall and others fostered, “a culture of fear, intimidation, and retaliation… which created a conspiracy of silence and deniability.” Later, a grand jury indicted 35 educators of whom 12 chose a trial over plea agreements. All but one was convicted. Some of those were sentenced to prison in 2015. Today, APS still struggles to regain its reputation. Dr. Hall died in 2015. School Attendance Irregularities in Washington, D.C. In November 2017, however, press reports covered allegations of attendance irregularities at Ballou High School. That evolved into a much larger inquiry, concluding that high schools misused credit recovery, “attendance-related grading policies are rarely followed,” and administrators didn’t enforce attendance policies, while also pressuring teachers to pass students. In short, 34 percent of DCPS students graduated after the 2016-2017 schoolyear despite policy violations. Chancellor Antwan Wilson resigned after separate revelations that he unilaterally transferred his daughter to another DCPS school, bypassing a waitlist of 600 other students. Each of these situations displays an implicit policy of protecting an institutional image. This ethos disregarded the harm caused to others. At Penn State, banning Sandusky didn’t fix the child abuse victims. In Atlanta, students earned higher scores than they deserved, leaving learning gaps unaddressed. 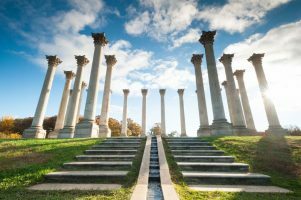 Graduates from our nation’s capital received diplomas although many completed credit recovery courses and those receiving regular class grades didn’t meet attendance standards.